We theorize that fostering collective pride in good governance and providing positive recognition for local leaders who forego corruption will decrease corruption in a national park revenue-sharing program in western Uganda. We propose a randomized field experiment and linked ethnographic field study to test whether offering community recognition for the successful planning and implementation of revenue-sharing projects, along with associated radio announcements and public ceremonies that praise good governance, will result in more equitable planning and better delivery of revenue-sharing projects. 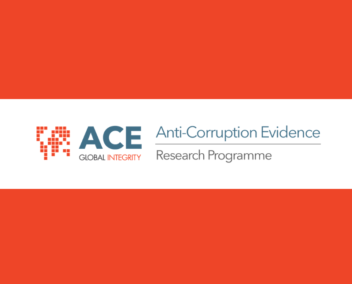 Our study thus departs from the dominant lines of research on corruption that focus on detection and punishment and instead asks how civic expectations can be realigned to counteract corruption. We compare outcomes in villages that receive positive recognition and/or are made experimentally eligible for positive recognition to those villages that do not receive or have eligibility for recognition.